Our Lady of the Lake Children’s Hospital operates the only 24/7 pediatric emergency room in the region and is looking for additional PEM trained physicians to join their team in Baton Rouge, Louisiana. Candidates must be Board eligible or Board certified in Pediatric Emergency Medicine. This position is supported by 4 fellowship trained PEM physicians, several experienced BC pediatricians, Emergency Medicine physicians, and 4 advanced practice professionals. It also entails supervision of pediatric and emergency medicine residents, and medical students in our newly renovated 20 bed pediatric emergency room. 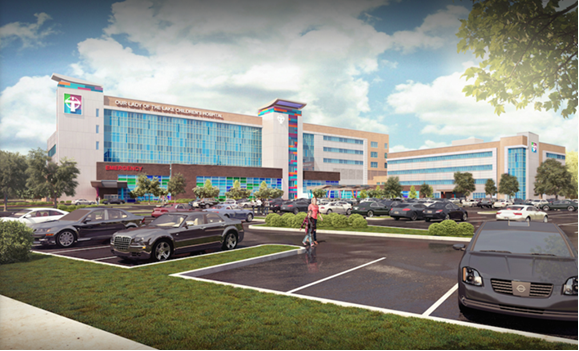 OLOL Children's Hospital is currently a 97 bed "hospital within a hospital”; however, there are definitive plans to open a free standing children's hospital in 2018, giving our physicians a chance be part of its development from the ground up!